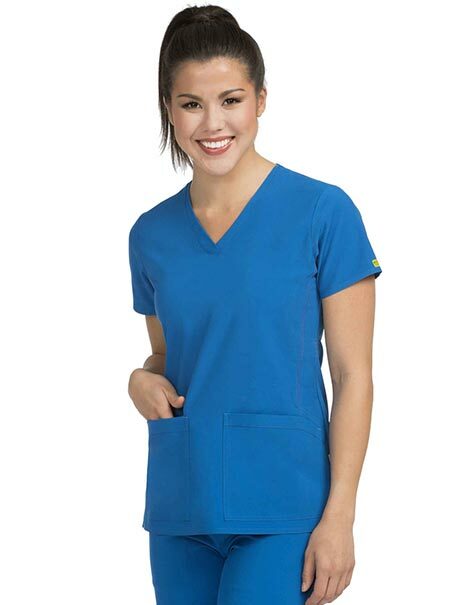 The Mesh Power v-neck scrub top from Med Couture Activate is designed with comfy four-way stretch fabric and is loaded with features to keep up with your busy workday! Enjoy accents such as mesh inset panels and back curved inset mesh shoulder panels ensure a perfect fit. Back princess seams provide a flattering look and two roomy pockets to give you plenty of storage for all of your medical necessities.